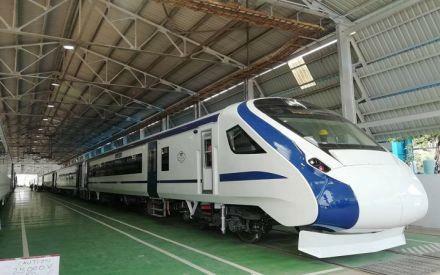 India’s fastest train is just two days away from its initial trip from the capital of New Delhi to the city of Varanasi. The train will hurtle along at about 80 miles an hour — a record for the country. But India’s Railway Minister seems to have gotten a little too enthusiastic about the prospects, and wittingly, or unwittingly, apparently engaged in some online deception about the train’s actual speed. Political allies retweeted the post. But it turns out the train wasn’t really going as fast as it appeared. A train enthusiast says he took the original video, and says it was speeded up to make it appear twice as fast as it was actually moving. The Indian news site Alt News reported the discrepancy in a story that’s been picked up by other news outlets – from the BBC to the Guardian. The Guardian reports the Railway Minister has had previous trouble with social media postings. That includes one that showed off a highway lit by LED lights as an example of the progress of technology led by the Indian government. But it turns out the photo was taken in Russia.